The Automotive Industry Development Centre (AIDC) in Gauteng has appointed Mr. Lance Schultz as its Chief Executive Officer (CEO). He joins the AIDC after a near four-year tenure as CEO of the Centurion Aerospace Village. Mr.Schultz, being no stranger to the industry, brings a wealth of knowledge and experience to the AIDC. Overall Mr. Schultz has over 25 years’ experience in senior and executive management in positions relating to logistics consulting, supply chain development, business development, project management, and marketing for both private and public-sector companies. 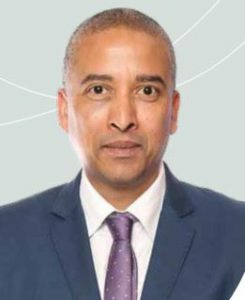 He is also a Turnaround specialist, having been appointed by the South African Cabinet to effect turnaround of the R1.1 Bill aerospace park. His appointment lead to unqualified audits as well as the implementation of a plan, approved by parliament, as developed through sound King IV governance practices. Mr. Schultz has also lectured NMU’s Industrial Engineering faculty on a part time basis.